Another pinterest pattern on the go this Friday night. 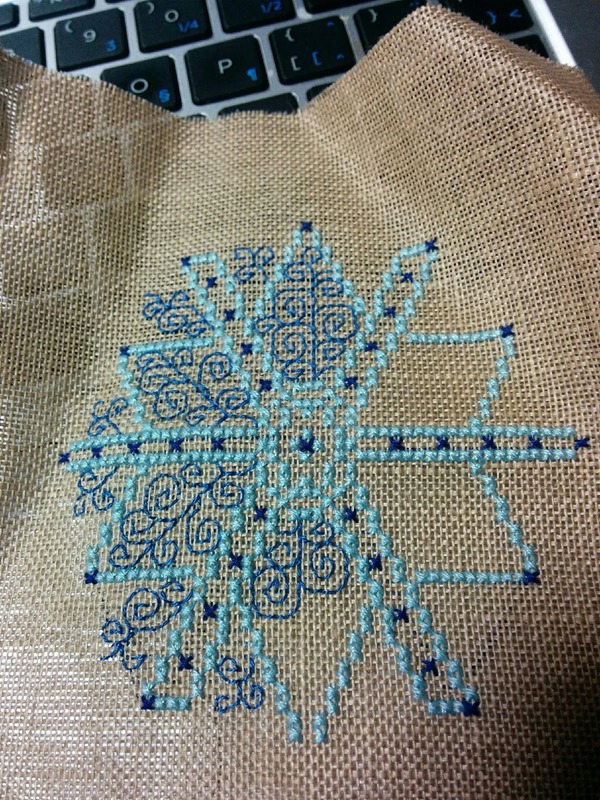 I started it last night during the Junior World Hockey Championship gold medal game that saw Canada losing to the USA and continued stitching on it this lazy Friday night. The weather forecast this weekend is full of snow so the piece should be stitched up quickly along with a few others. I am loving the colour combination and the beauty of the filigree look, so much so that I have up to 10 different patterns pinned to my pinterest boards with the intention of doing a series of these designs. Happy stitching this weekend!